Heritage Creek Golf Club currently has 9 holes open for play. 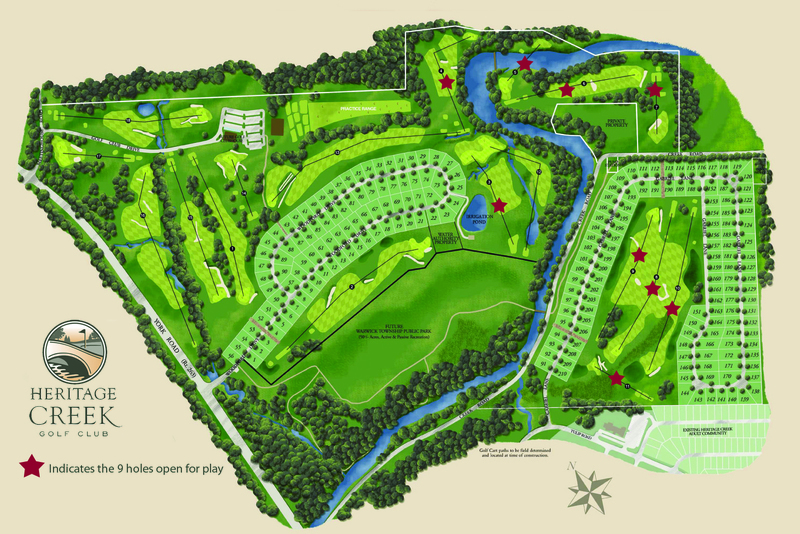 This map shows the future plan to develop Heritage Creek into an 18 hole golf course. The current clubhouse is located near Meetinghouse Road.